Just 40 km from the International Airport, Amari Phuket is conveniently located close to all of the region's shopping, dining and attractions but enjoys a more quiet beach location. Set on an exclusive point on Patong Beach's headland, guests of the resort enjoy the privilege of direct access to the resort's own private beach, allowing you to relax in privacy and seclusion. Andakira Hotel is just a stroll away from Patong's vibrant hub of shopping, bars, restaurants and nightlife at the heart of the region. Ideal for couples, families, friends and even solo travellers, the hotel offers affordable boutique accommodation and is serviced by a convenient complimentary shuttle bus to transfer guests from the resort to the famous Patong Beach. 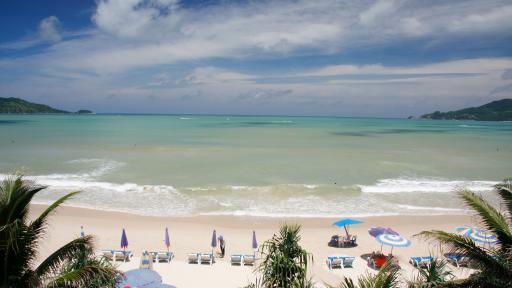 Located a 5 minute walk from world famous Patong Beach in Phuket is Andaman Beach Suites Hotel. 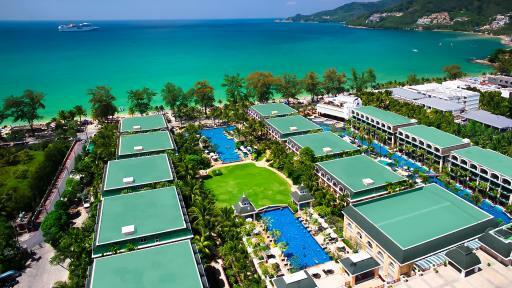 Enjoy views over lush green hills, white sandy beaches and sparkling blue water! Guests are spoilt for choice with 137 rooms ranging in size from 30m² to 120m². Surrounding the resort is a number of restaurants, bars, and shopping! 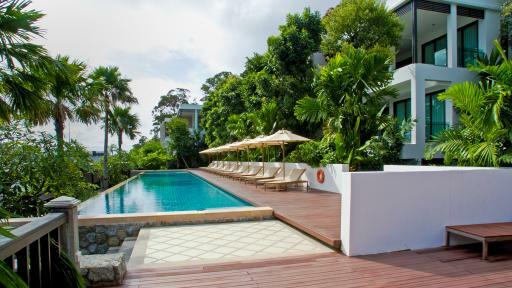 Set on 10 acres surrounded by lush tropical gardens and swaying palm trees, Andaman Embrace Patong is only 45 minutes from Phuket's International Airport. Not far from Phuket's shopping district, cafes and restaurants, local nightlife and major tourist attractions, the resort is conveniently located a mere 50 metres from Patong Beach, Thailand's most famous beach. The ideal accommodation choice for couples, families, groups and even solo travellers, Ashlee HUB Hotel Patong is set right in the heart of Phuket. 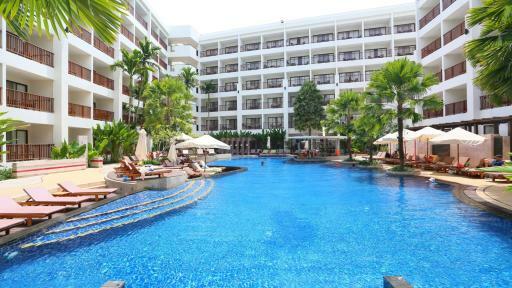 Conveniently located close to the region's most popular shopping, dining, entertainment and attractions, the hotel is within walking distance of the soft sands and cool waters of the iconic Patong Beach. 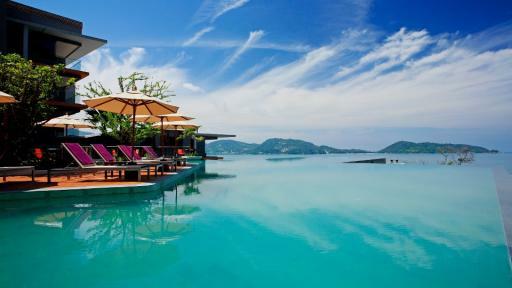 This luxury five star Phuket accommodation offers the perfect location for a relaxing and memorable holiday or honeymoon. 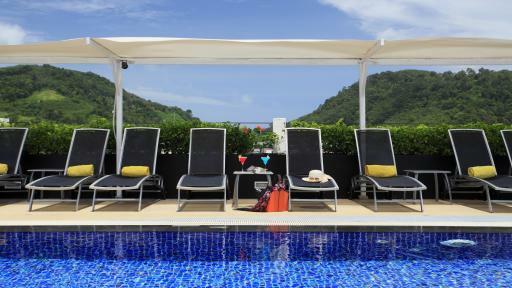 Avista Hideaway Phuket Patong, MGallery by Sofitel is one of the newest resorts in Patong and boasts spacious rooms and suites all with private balconies. The resort offers a private beach club just five minutes' drive away. With 3 swimming pools, restaurants & bars, a kids club and day spa there is really no reason to leave the resort. 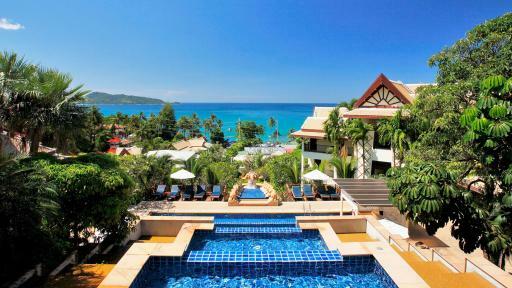 Located on the northern end of Patong Beach, B - Lay Tong Phuket, is situated in one of the higher end areas of the region and offers luxury accommodation. 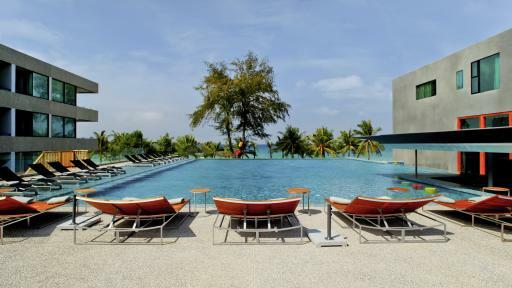 Just 45 minutes from Phuket's International Airport, the resort is just a few steps from Patong Beach and enjoys spectacular views of the Andaman Sea. The resort also features a fantastic range of facilities including a swimming pool, Jacuzzi, day spa and more. 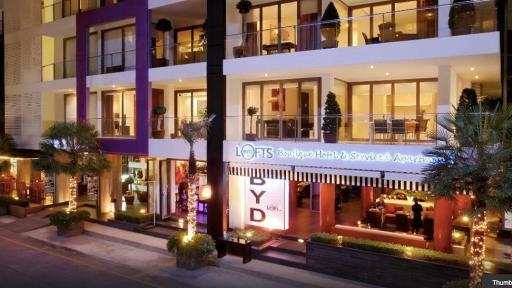 BYD Lofts Boutique Hotel & Serviced Apartments offers guests affordable 4 star accommodation right in the heart of Phuket. Located just 200 metres from Patong Beach, these 1 and 2 bedroom apartments are completely self contained, are spacious in design and have outdoor balconies. Facilities include a rooftop swimming pool, restaurant, bar, cafe and complimentary WiFi in public areas. From your apartment you are also within close proximity to entertainment and dining venues, night markets and shopping centres. Accommodation at Banthai Beach Resort & Spa is set on five acres of lush land and blooming tropical gardens facing out towards the Andaman Sea. Enjoying a prestigious oceanfront location, the resort boasts stunning views of the ocean as well as the glittering tropical pools within the complex from the accommodation's private balconies and terraces. 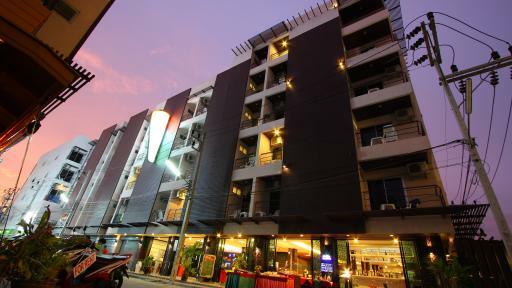 Located within a short distance of the famous Patong Beach, Baramee Hip Hotel is centrally located to the region's myriad of shopping, dining and entertainment options, nightlife and attractions. A great place to base yourself to fully explore Patong as a holiday destination, the hotel enjoys an excellent range of facilities including a swimming pool and convenient airport shuttle. Offering spacious yet affordable accommodation, Baramee Resortel is just meters from Patong Beach and is ideally located close to all of the region's shops, bars, cafes, restaurants, entertainment and tourist attractions. The resort's daily shuttle operates throughout the surrounding areas of Patong, making exploring the region's sights an easy and affordable exercise. This Phuket accommodation is ideally located just 50 metres from the popular Patong Beach & offers the perfect location for a memorable escape as a couple. 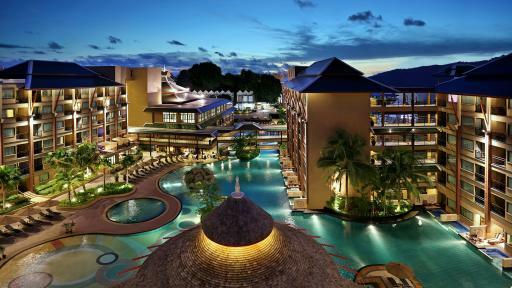 Burasari features 2 swimming pools, restaurants & bars, free WiFi Internet access & much more. This Phuket resort features a wide variety of boutique style rooms to choose from, whether you are travelling for a relaxing escape or romantic honeymoon Burasari has a room to suit you. 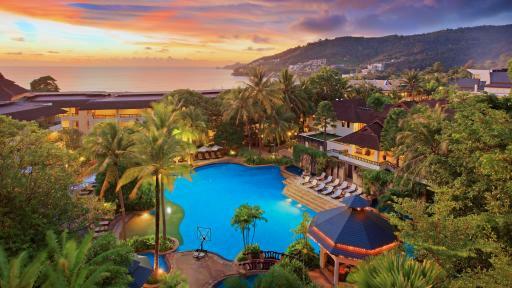 Centara Blue Marine Resort & Spa Phuket is set on a secluded hillside overlooking the stunning vistas of the Andaman Sea. 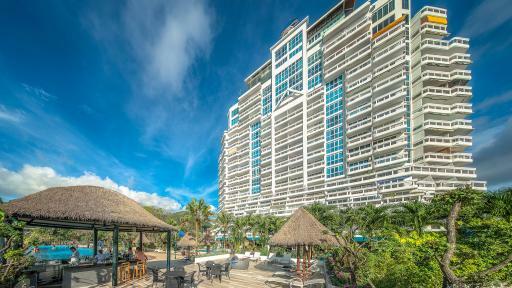 With the action and beaches of Patong just minutes away, guests have the best of both worlds enjoying the many resort facilities including Day Spa, Kids Club and numerous restaurants and bars. Crest Resort & Pool Villas is a fantastic Phuket holiday destination set on the hillside overlooking the stunning waters of the Andaman Sea. 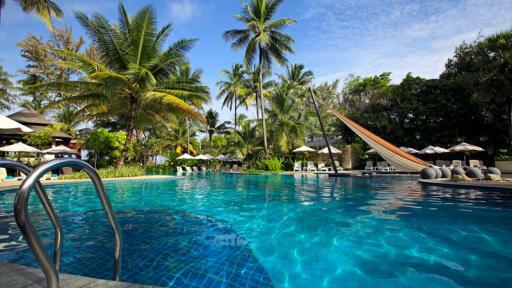 Located an hour`s drive from Phuket Airport and a short shuttle drive to nearby Tri-Trang and Patong beaches, this Phuket accommodation features restaurants and bars, swimming pool, day spa and fitness centre. With contemporary rooms and pool villas decked out with modern amenities, outdoor balcony and some featuring private pools you can truly relax and explore the amazing Patong area. 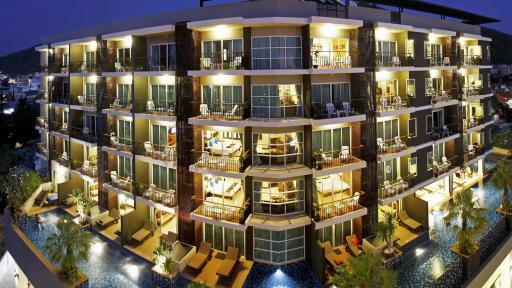 Deevana Patong Resort & Spa is great value Phuket accommodation located just minutes to all the excitement of Patong Beach, shopping, entertainment and the famous Patong nightlife. With over 230 rooms and suites and a range of resort facilities including day spa, restaurants and two beautiful swimming pools, Deevana Patong Resort & Spa is the ideal base for you to explore the best of Patong and its surrounding area. Just minutes from the famous Patong Beach, Deevana Plaza Phuket Patong offers six storey of accommodation featuring beautiful views over the city and sea. The ideal accommodation option for those who don't want to have to go far, the resort is conveniently located in the heart of Phuket close to the shopping precinct, night bazaar, local cafes and restaurants as well as the vibrant nightlife. A five star resort just 45 minutes from the International Airport, Diamond Cliff Resort and Spa is the hidden gem of Patong's accommodation. 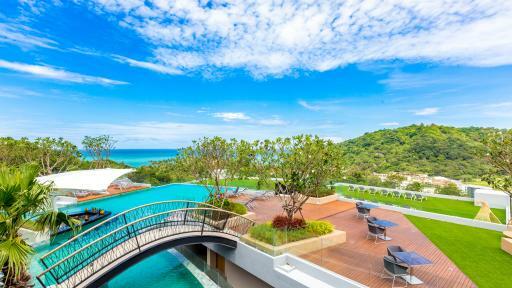 Nestled in North Patong's stunning hillside, the resort is one of Phuket's most popular accommodation choices due to its beautiful surrounds, excellent range of facilities, value for money and convenient location. 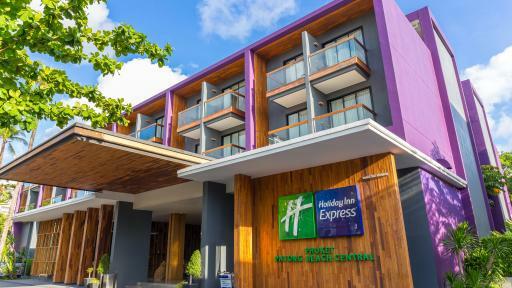 Located only moments from Patong Beach plus numerous dining options, markets, shops, attractions and entertainment makes Holiday Inn Express Phuket Patong Beach Central a popular choice for thongs who want to be in amongst it all. This affordable Phuket accommodation features Standard Rooms that are perfect for singles or couples, enjoy the use of the free WiFi Internet facilities and access to a swimming pool, self service laundry facilities and a small fitness centre. One of Patong's most popular accommodation options, Holiday Inn Resort Phuket enjoys a beautiful beachfront location on the main road that winds around the coastline. Conveniently located close to Patong's famous nightlife, shopping and dining, the resort enjoys exclusive access to the beautiful beach directly opposite the resort. Located on the west coast of Phuket, Horizon Patong Beach Resort & Spa is surrounded by lush tropical gardens beautifully landscaped to create an exotic and relaxing atmosphere. Directly opposite Patong Beach, the resort offers an excellent range of accommodation with over 150 rooms to choose from as well as a fantastic range of onsite facilities. 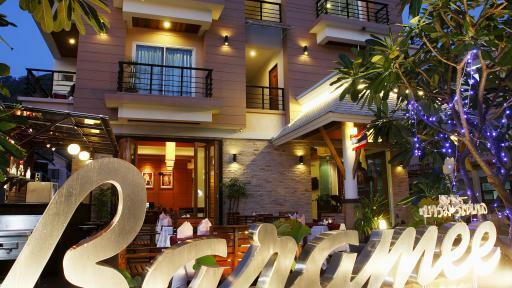 Impiana Resort Patong is ideally located right on the beach and within a 10 minute walk from Bangla Road where you will find a plethora of restaurants, bars and a vibrant nightlife! Guests have a great choice in accommodation options from rooms and suites to royal villas. Facilities include a swimming pool, day spa, 2 restaurants and bars. 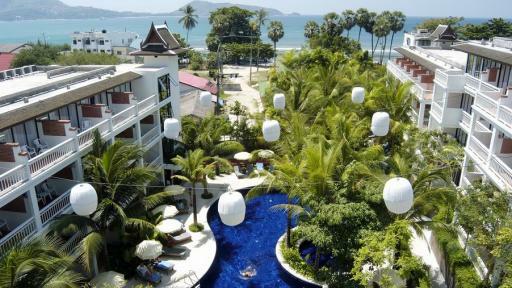 Kalima Resort & Spa Phuket located just north of Patong Beach and is ideal for couples, honeymooners and families. Offering free WiFi and a complimentary shuttle service to Patong Beach, you get the best of both worlds with access to popular nightlife and shopping in Patong and a 5-star resort in a less crowded area at Kalim Beach. Featuring stylish, modern rooms and fantastic resort facilities with traditional Thai hospitality, select Kalima Resort & Spa for your next memorable holiday to Phuket. Just a 20 minute drive from the town centre, La Flora Patong offers beachfront accommodation away from the bustle of the region's main tourist strip. Only 45 minutes from the International Airport, the resort is nestled on Patong Beach's picturesque coastline and offers a peaceful escape with a great range of onsite facilities to enjoy, with all of the local shopping, dining and entertainment options located close by. 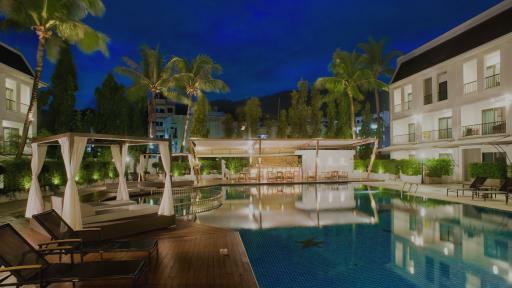 Just 500 m from the always popular Patong Beach, Millennium Resort Patong Phuket is just 40 km from the International Airport. Centrally located to enjoy all the convenience of shopping, entertainment, restaurants and bars within walking distance, the resort is within easy reach of all your holiday needs to make your stay in Phuket the experience of a lifetime. 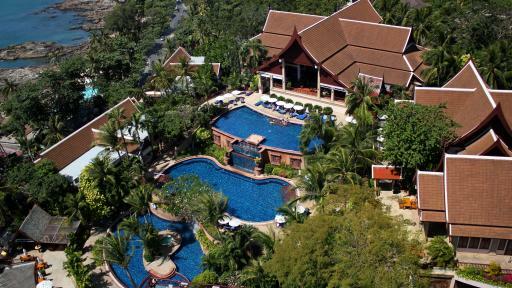 A popular accommodation choice with couples, families, friends, singles and young travellers alike, Novotel Phuket Resort is set on eight acres of lush tropical gardens. 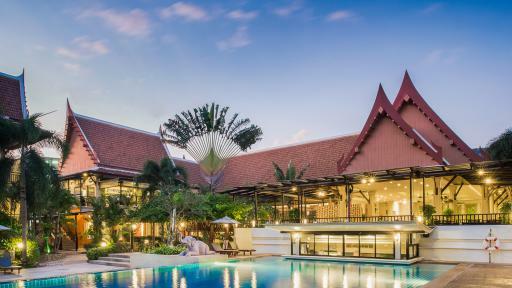 Located within walking distance of all of Phuket's dining, shopping and nightlife options, the resort offers convenience and stylish yet affordable accommodation. Guests will also enjoy the fantastic range of onsite facilities. Located in the centre of Patong this Phuket accommodation is within walking distance of the beach, markets, Thai Boxing Stadium, exciting night life plus much more. 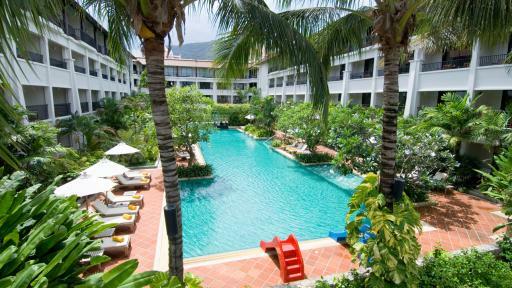 Novotel Phuket Vintage Park is ideally suited to couples and families as they can enjoy the large 2000 square metre swimming pool, the 3 on site restaurants, day spa plus much more. Enjoying prime position on the 3 km stretch of soft white sand and cool calm waters that is Patong Beach, Patong Beach Hotel is an intimate accommodation option. The hotel offers personal service, charming décor and privacy all just a short stroll from the local markets, cafes and restaurants, attractions and nightlife of the heart of Patong. 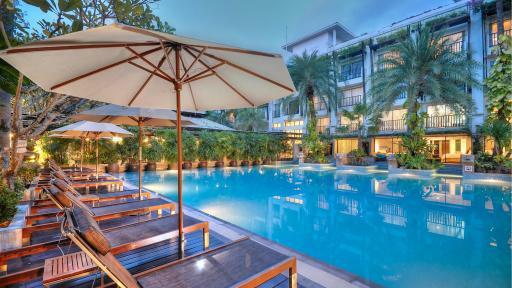 Conveniently located directly opposite the main beach of Patong, Patong Merlin Hotel is nestled amidst eight acres of lush tropical gardens and towering palm trees. 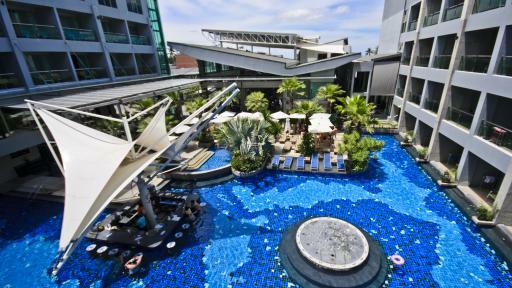 Just a short stroll from central Patong's markets, bars, restaurants, cafes and nightlife, the resort features a stunning trio of lagoon-style swimming pools that form the centrepiece of the hotel as well as a fantastic range of facilities. Situated on the prime beachfront location of Patong Beach, Phuket Graceland Resort & Spa offers almost 600 rooms and suites which reflect the elegance of Thai decor and tropical ambience. This modern and spacious Phuket accommodation enjoys beautiful views of the Andaman Sea and is located within walking distance of Patong's cultural hub including local markets, tourist shops, bars, cafes, restaurants and Patong's vibrant nightlife. 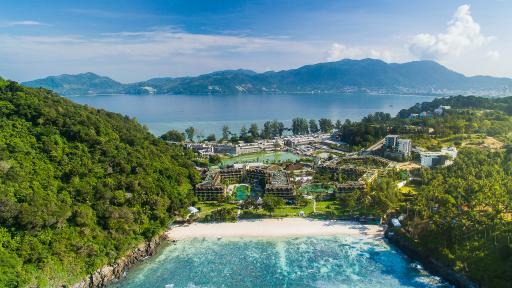 Nestled on its own private beach, Phuket Marriott Resort & Spa, Merlin Beach is just 3 km from Phuket's most iconic stretch of sand, Patong Beach. This low rise accommodation is set on 12 acres of palm trees and exotic gardens and looks out over Tri-Trang Beach, the resorts private beach escape. 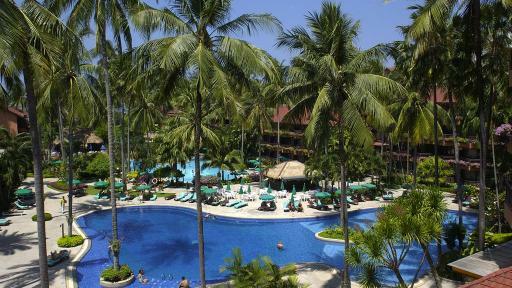 The resort also offers guests a great range of onsite facilities to enjoy while on holiday in Patong. Sawaddi Patong Resort is located on a quiet hillside in Patong offering both seclusion and easy access to the attractions of Patong Beach and its surround. 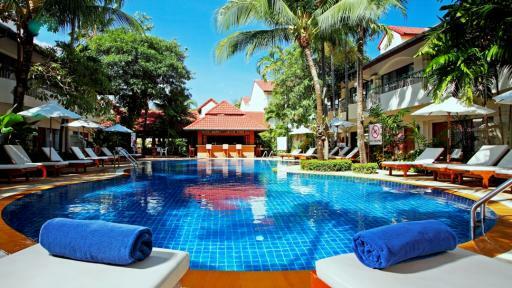 Offering 144 rooms and a range of resort facilities including poolside bar, day spa and games room, couples and young families alike will enjoy their stay at this great Phuket accommodation on their next Thailand holiday. 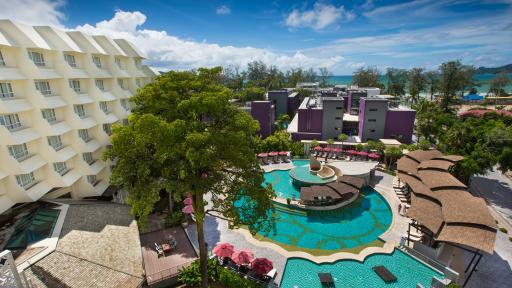 Seaview Patong Hotel offers a prime location in Phuket, just metres away from the waters of the Andaman Sea. This affordable Phuket accommodation is set at the edge of Patong, far enough away from the hustle and bustle yet close enough to walk to town where markets, shops and entertainment awaits. 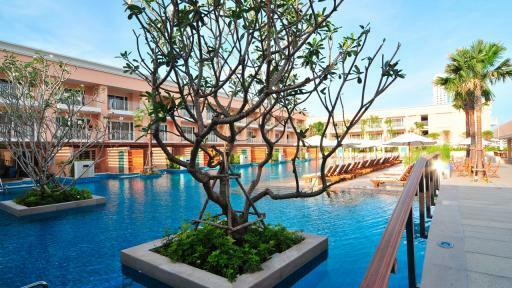 While staying at Seaview Patong Hotel guests can access the on site facilities including swimming pools, day spa, restaurant and bars, fitness centre and more. One of Phuket's stand out accommodation options for an affordable yet quality place to stay, Sunset Beach Resort is conveniently located close to central Patong's market stalls, shops, bars and restaurants and is within walking distance of North Patong's Andaman Sea. Offering fantastic value for money, the resort also enjoys a great range of onsite facilities. 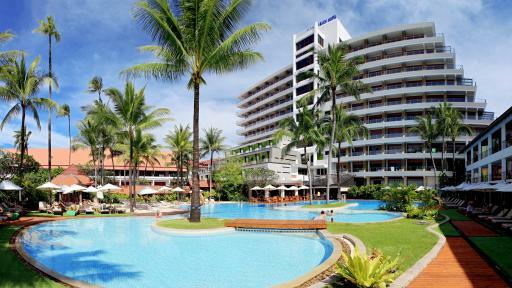 Located a few short steps from Patong Beach and within close proximity to the centre of Patong's dining and entertainment district, Swissotel Resort Phuket Patong Beach is the ideal location for families and couples. The rooms are modern and the resort offers a tranquil a haven for couples looking for a romantic escape and for families who are looking for a relaxing and memorable holiday in Phuket. Ideally located on Thailand's most famous beachfront, Patong Beach, The Bay and Beach Club offers convenience at your doorstep. 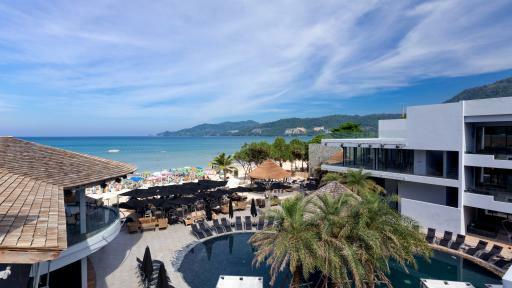 Located within easy access of a range of bars and restaurants, entertainment and the vibrant hub of Patong's infamous nightlife, the resort offers authentic Thai styled accommodation with a modern twist and direct beach access. This Phuket accommodation is ideally located in the heart of Patong, close to Bangla Road and within walking distance of the beach, shops, markets, entertainment and more. The KEE Resort & Spa features a great selection of spacious and contemporary style rooms catering to the needs of couples and families. 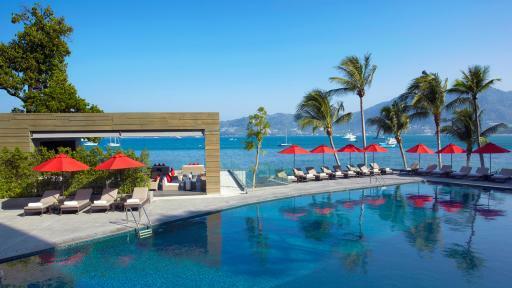 While staying at The KEE Resort & Spa guests have access to amazing on site facilities including swimming pool with swim up bar, fitness centre, day spa, kid's club, WiFi Internet & a rooftop bar which boasts views of Patong & out to the ocean. 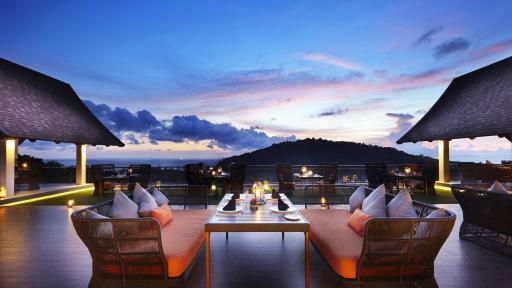 This Phuket accommodation is set on 16 acres overlooking the Andaman Sea and Patong Bay, Wyndham Sea Pearl Resort Phuket boasts luxury room categories that cater for singles, couples and families. Guests can choose to enjoy the on site facilities including swimming pools, gym and day spa or explore the attractions of Phuket. 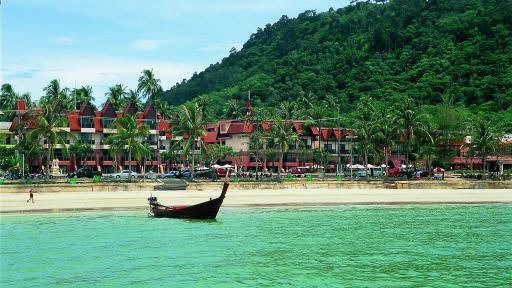 Patong Beach is a mere 10 minute drive away, home to entertainment, restaurants, bars, shopping and more.